Looking for a quick vegan lunch, an afterschool snack, or a game-day treat? 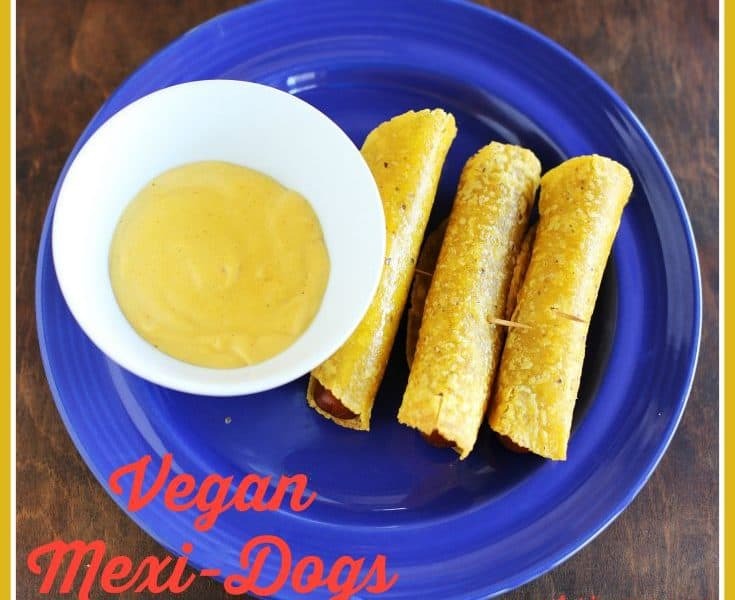 These yummy tortilla-wrapped hot dogs may be just the thing you’re looking for. 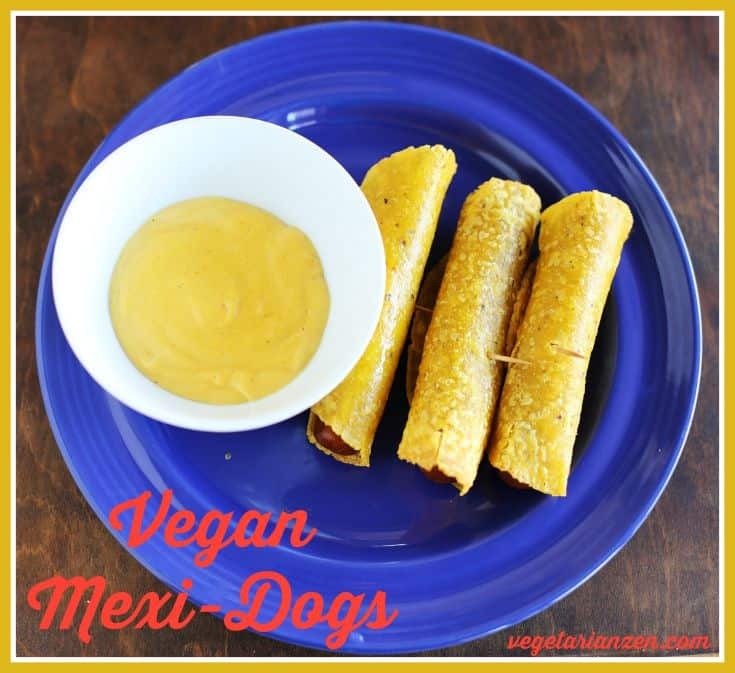 They’re simple, they’re satisfying,…they’re vegan mexi-dogs! We use Tofurky brand hot dogs, but any vegan hot dogs would work for this recipe. The tortillas are our absolute favorite ones…Food for Life’s sprouted corn tortillas. They taste amazing, they freeze really well (I usually buy three or four packages at a time so we won’t run out), and they make incredible tortilla chips. If you want to learn how we make ours, check out our recipe for Chile-Lime Tortilla Chips. Feeling adventurous? Try spreading a thin layer of warmed vegan cheese sauce, refried beans, or salsa on the softened tortilla before rolling up your hot dog. Heat oil in a small skillet. Add one tortilla to the hot oil and cook for about 10 seconds. Carefully turn tortilla over in oil and cook for another 10 seconds. Remove the tortilla to a paper towel to drain excess oil. Blot the top with another paper towel. Move the softened tortilla to a plate. Repeat with the remaining tortillas, stacking them on the plate once they have been softened and drained. Starting with the top tortilla on the stack, place one vegan hot dog at the edge nearest to you. Roll up the hot dog inside the tortilla. Secure with a toothpick through the center of the hot dog and near the rolled-up edge of the tortilla. 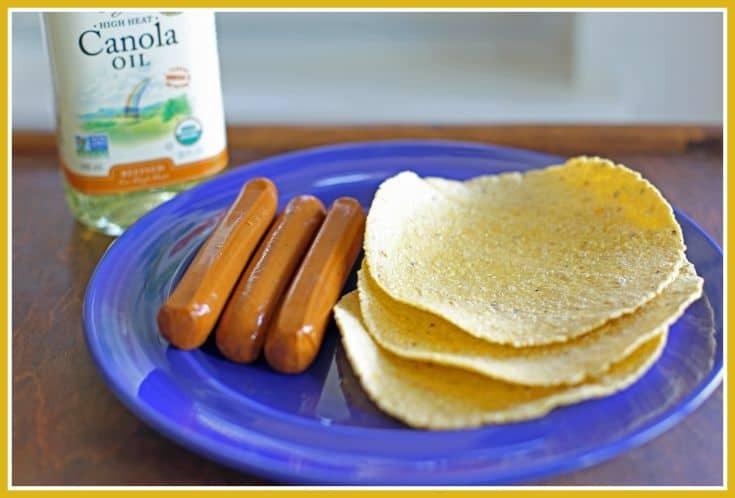 Place the tortilla-rolled hot dog on a baking sheet. Repeat with remaining hot dogs and tortillas. Bake your Mexi-dogs in a 400 degree oven for 10 minutes. 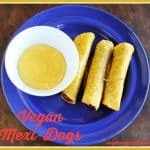 Vegan hot dogs can be hard or rubbery if over-heated, so they should only be in the oven long enough to heat them and crisp the tortillas.